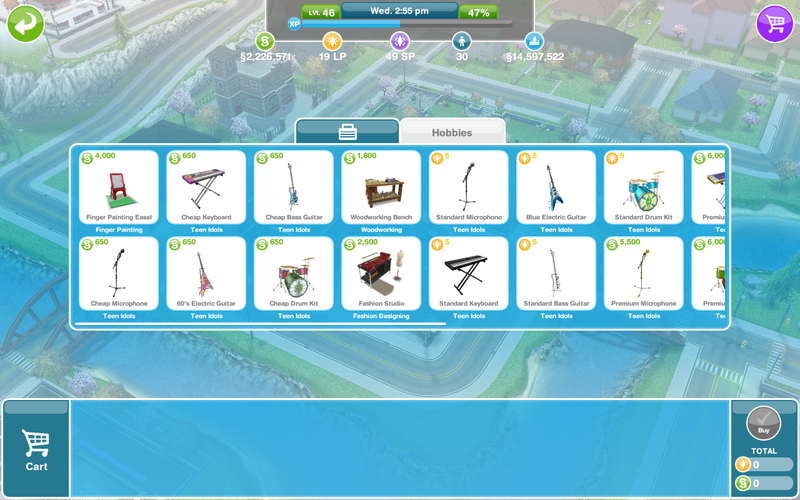 I cannot place the easel, it says its locked/ limited item, what do I do? 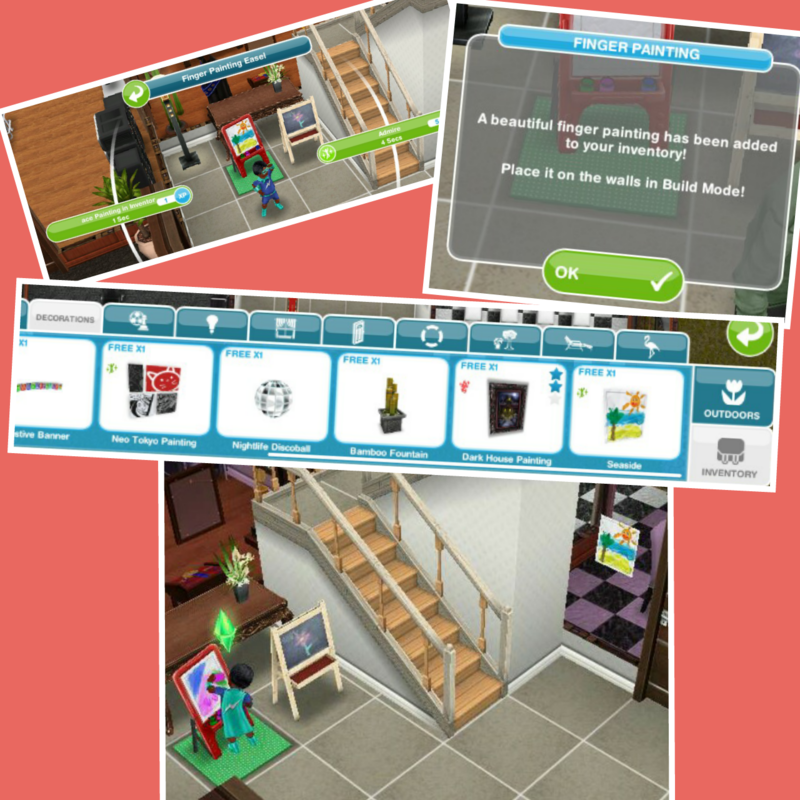 You will have this problem if you try and place it from the new items tab, look in your inventory instead to be able to place the finger painting easel in one of your sims houses. After the time has passed come back and click the exclamation mark above your sims head to find one of the finger painting collectibles. Every time your sims completes a painting their finger painting hobby skill level up percentage will increase, once they reach 100% they will level up, there are 6 levels. 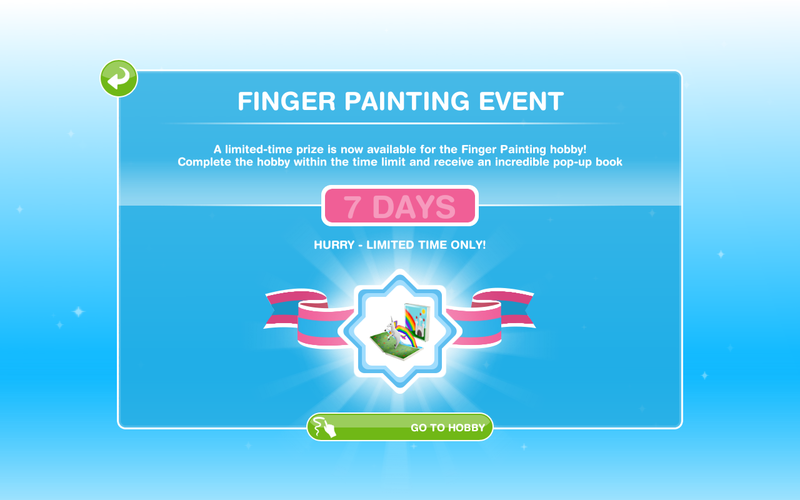 You need to reach level 6 to be able to unlock all of the finger painting collectibles, once unlocked you will be able to find them. Prodigy Kitty the Caterpillar and Fish Fingers are now unlocked in the hobby collection. Storing Paintings- There is an added extra on this hobby where you can store and place paintings a toddler has created around your house, which is really cute! To do this an adult sim needs to click on the easel after a painting has been created and select the option to store painting in inventory. The painting can then be found in the decorations section of your inventory to place on a wall. 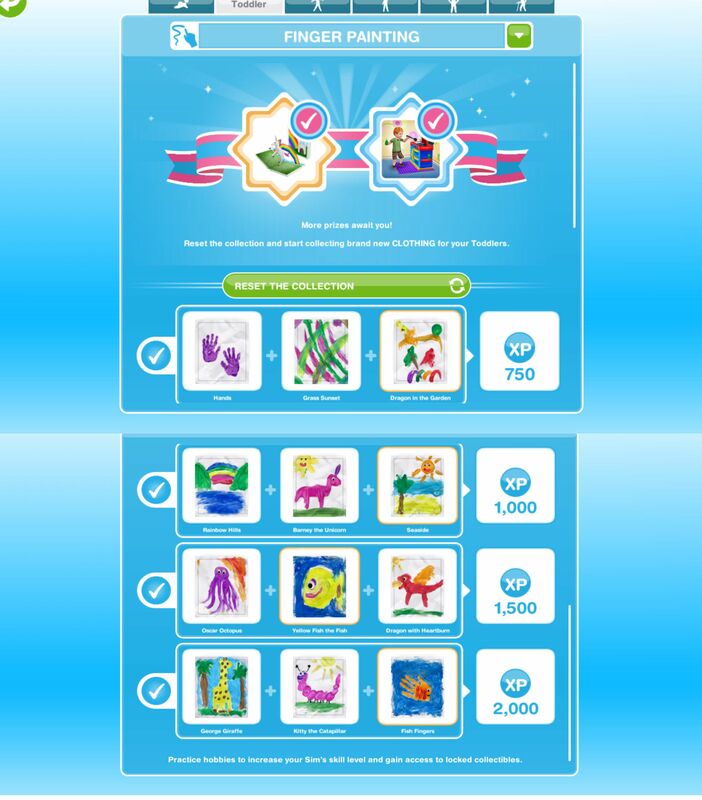 The first time you complete this collection you will unlock the cooking playset (even if you don’t complete in the time limit) which costs S5000 and can be found in the toddler section. It is really cute! The picture in the post shows you. This one wasn’t quite as bad to do as the infant one was. Does anyone else get the feeling though that completeing each hobby six times to collect all the outfits is almost like trying to crank out all of those orbs for the island locations and attractions? I’m guessing it means if you use LPs to do the lucky spin and you win one that way you can find it in your inventory but its not very clear. you need to complete the super toddler secret mission quest (find the toddler at the stables) before you can do this hobby but you can’t do it while you are doing the basement quest. Yet another time limited event similar to infamous Musical Expression hobby. From pure mathmatical PoV (so called coupon collector problem in probabiliry theory), filling all these 12 slots will take about 38 or more trials on *average*. So, draw 6 or more paintings a day to finish in 7 days. Quite a tall order. Be prepared to spend large amount of LP, just like the Musical Expression. Ever since the updates, I can’t move furniture around anymore. For my iPad it started right after the update. Today, my Galaxy stopped being able to do it. Is anyone else having this problem? I’ve been searching online for over a week now, seeing if anyone else is having this problem, but I can’t find anything. Of course I did a restart, exiting the right way, etc., but it is driving me crazy and I have NO idea what to do! Please tell me I’m not the only one! I know this is unrelated to the post, but I found out something interesting about the new makeup artist hobby. Have one sim do the “Wait for Customer” 10 min option. Have the other sim at a far distance from the kiosk and choose the “Browse for Makeup” 4 hr option. Quickly click the “Wait for Customer” sim and use the 1 LP skip button. The hobby will be completed and you will recieve one of the 12 makeup styles without waiting the 4 hours and only using 1 LP. because you earn either LPs or new items, like this one you get clothes if you complete for a second time. After starting this hobby I noticed that I can save paintings from the adult easel too. I don’t think I could do that before, but it’s nice to have a few more paintings. Does the toddler cooking playset just get their fun up? I’ve completed the toddlers mission and bought the finger painting kit but i CAN’T find it in the hobbies and careers section in my inventory. It doesn’t allow me to purchase another set! Hi, I’ve been on this for a while, but the blackboard for ‘plan of action’ doesn’t show up! Can you help me try and find it?!!! Am I suppose to have the children’s store so that the blackboard for “plan of action” wiuld appear in the home store? 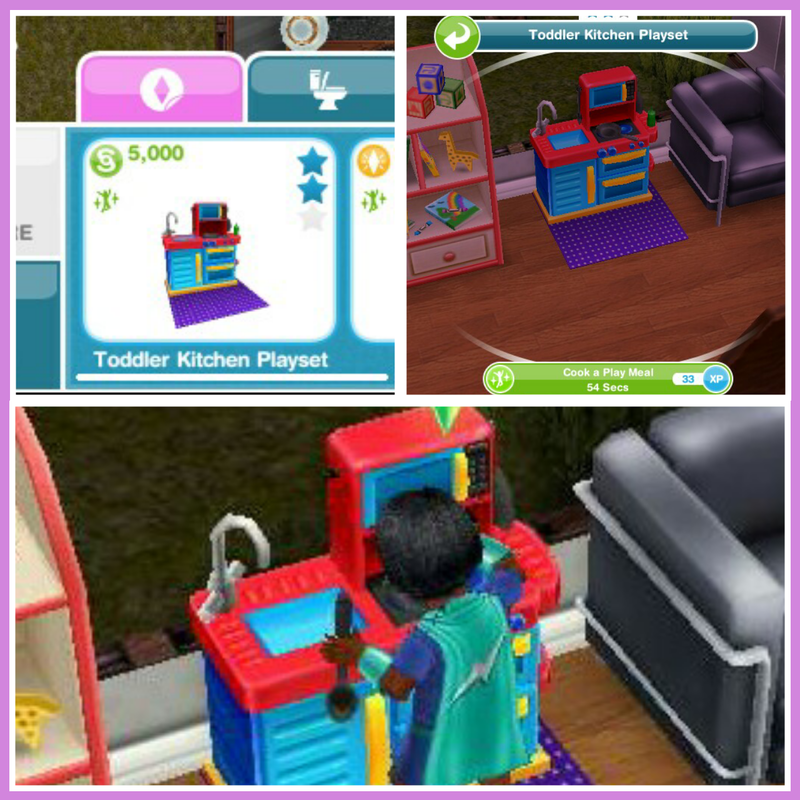 It will be in the buy mode under toddler but you have built the childrens store as you have to do that in the quest to unlock babies. 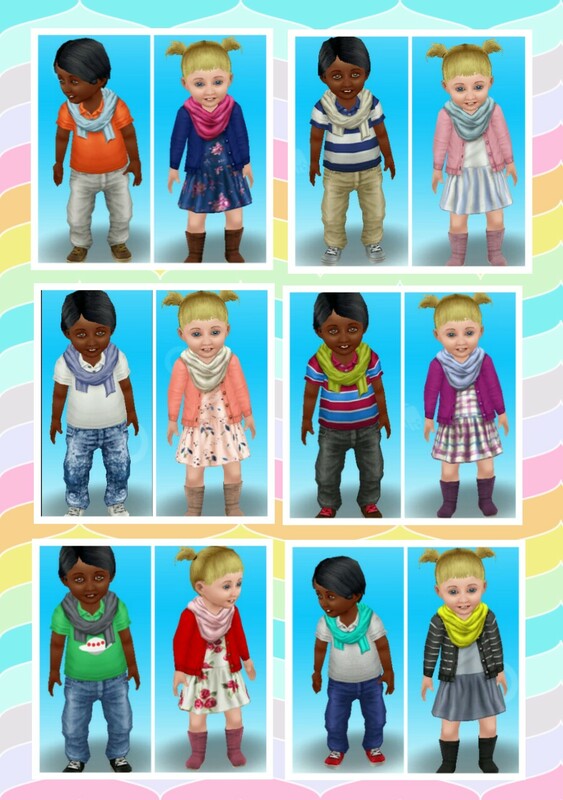 After the 6 times completing the hobby and unlocking/winning the toddler outfits, what do you get? Is there an LP reward like other hobbies? Sorry if I missed it, I read the entire post twice looking for “further times you will receive …” but it’s just not there. Thanks for all your help!!! Had to complete the collection 6 times first to unlock the outfits! Now I have, I have updated the post, further times you receive 3LPs. I found a useful shortcut, if you don’t have an adult handy to collect the painting. Go into the home store and move the easel to your inventory. You’ll get the same message as if an adult collected the painting – that it’s in your decorations inventory. And it is! Then you can place the easel again, lather, rinse, repeat! I bought it and now its nowhere to be found? And it wont let me buy another one? Help??? Is it not in the hobby and career tab of your inventory? You just have to keep going, sometimes they will take ages to find a new one, there are no tricks to it, you will get a new one eventually. Is there any other way for me to get the pop up bookshelf like buying a house if I couldn’t finish the timed limited hobby in time? No there isn’t, unless someone adds one to an architect house they design and the makers add it to the architect tab. I found this one very difficult. The 7 days went by and I wasn’t anywhere near completing it and that’s with my toddler constantly painting. I still needed 6 paintings. I just get the same paintings over and over and over. I only have one toddler so maybe that was the problem. Anybody else run into that problem? Have you looked in the promotions r us store under hobbies, not careers? I failed to complete this quest in the time frame. My toddler was painting day and night for the 7 days but I just kept getting the same paintings over and over again. I added 24 hours and used up all 10 of my LP’s that I had saved up, but still only got paintings he had already created until my time ran out. I just saw your answer that said you can have 3 easels after the first time is completed. I completed it ages ago but it has never let me have more than 1. Weird..I’ll have to message firemonkeys. I was wondering–I didn’t see this mentioned anywhere here, if I missed it I apologize! When my toddler finishes a painting, I get a pop-up that tells me I can have an adult put it in my inventory, or if I have purchased “the collectable,” then it’s already there. My question is what is “the collectable?” I have looked everywhere and cannot find what it might be, unless it was something that was only available in the first time of doing the hobby with the time limit and I missed it, but I don’t remember seeing that. Are you definitely sure you completed it? You didn’t have one or two painting left to collect? If you have are you sure you haven’t brought the other two easels already? They will be in your hobbies and career items section of your inventory if you have. 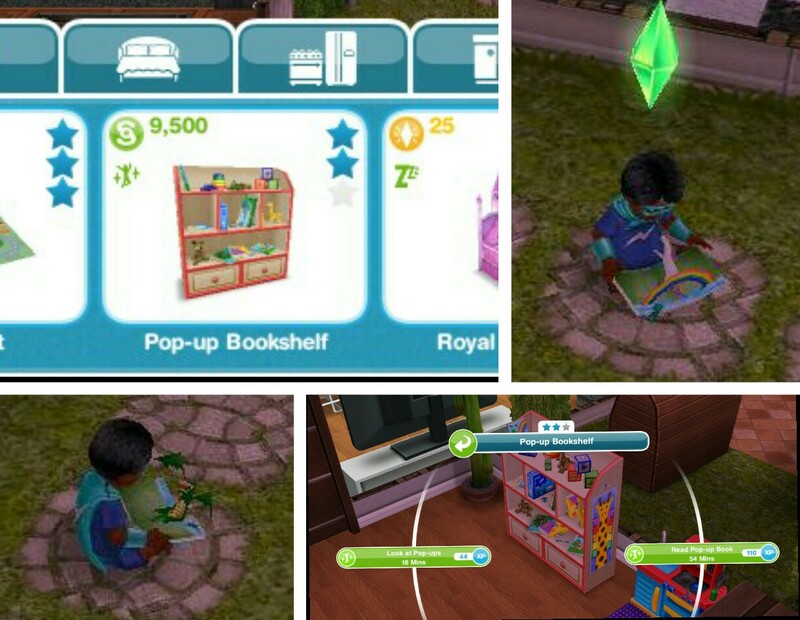 The collectibles are the storing paintings (if you read the bottom of the post you would have seen this) your adult sim can click on the painting after the toddler creates it and select store in inventory. Once stored you will find it in the decorations section of your inventory. Actually after the update I now have 3 easels, so it must have been a glitch, because I’d already completed the hobby many times over at that point. It’s fixed now. I’m sorry I must have misworded my question–I read the whole post and comments, i know it must be incredibly annoying to get asked the same question over and over by people who obviously didnt read the post that you put so much work into! Let me try and put this better: I meant to ask about a collectible that is mentioned after a toddler makes a finger painting. When I click on the exclamation point icon above his head, it tells which painting he made, just like with all the hobbies, and there is a message that says “adults can keep pictures left on the easel by chousing ‘place painting in inventory.’ If you have purchased the collectible, it’s already there!” My question is what is the collectible that they are referencing? It sounds like purchasing this “collectible” makes it so that the finger paintings get automatically added to your inventory without an adult having to place it there. Does that make sense? I’m not always very good at explaining things, so I hope that was clearer! The collectible is the finger painting that your toddler creates, really it shouldn’t say ‘if you purchases the collectible’ because you aren’t purchasing it, your adult sim is just clicking on the easel and selecting to store it in the inventory so it means that if your sim has already stored that painting it will already be in your inventory to place in your house.